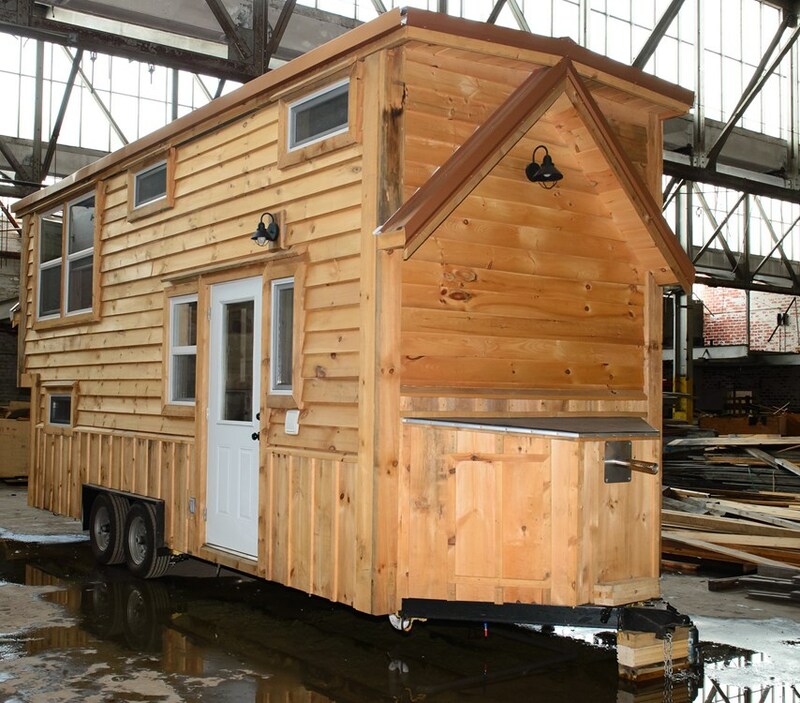 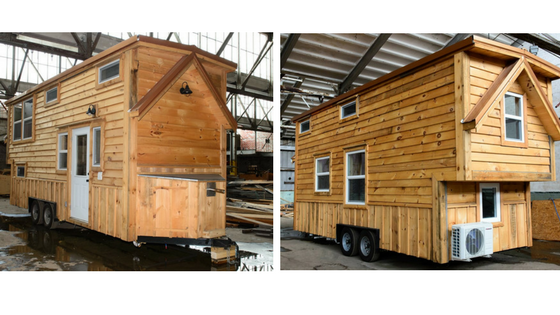 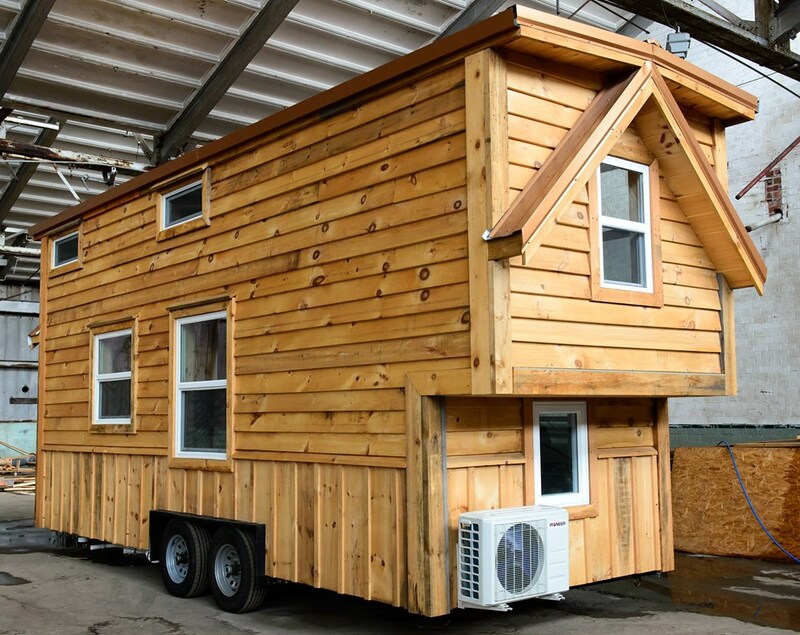 Currently available for sale in Knoxville, Tennessee, is this cozy tiny house, described as a "life-size dollhouse". 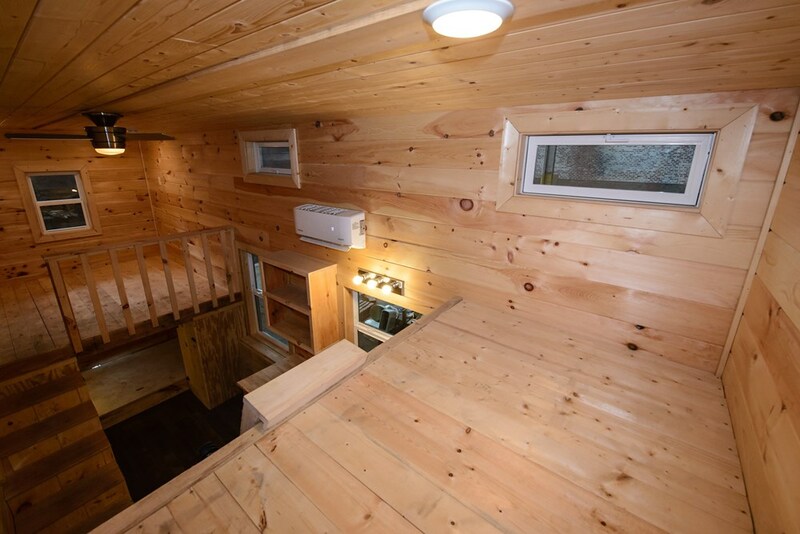 The house is composed of pine wood on the inside and out, and has an interior size of around 288 sq ft. 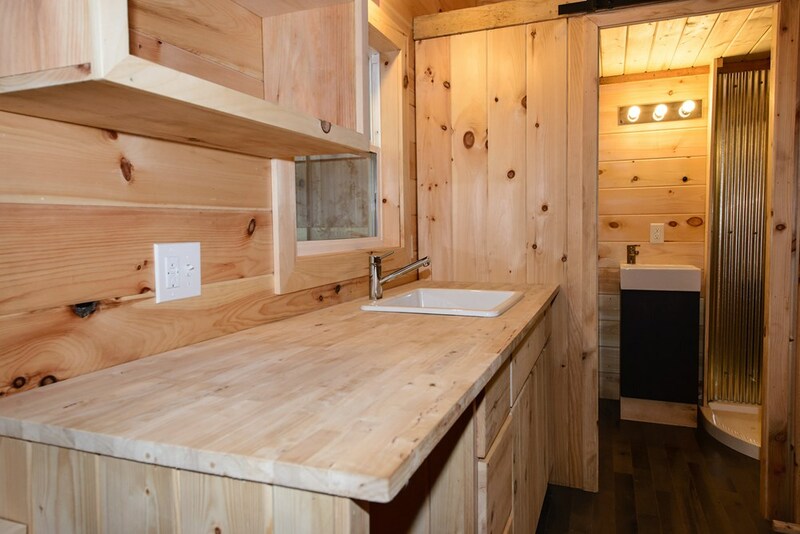 The kitchen comes outfitted with a mini farmhouse-style sink, a butcherblock cutting board designed to cover the sink, a two-burner induction cooktop, and cupboards and drawers for storage. 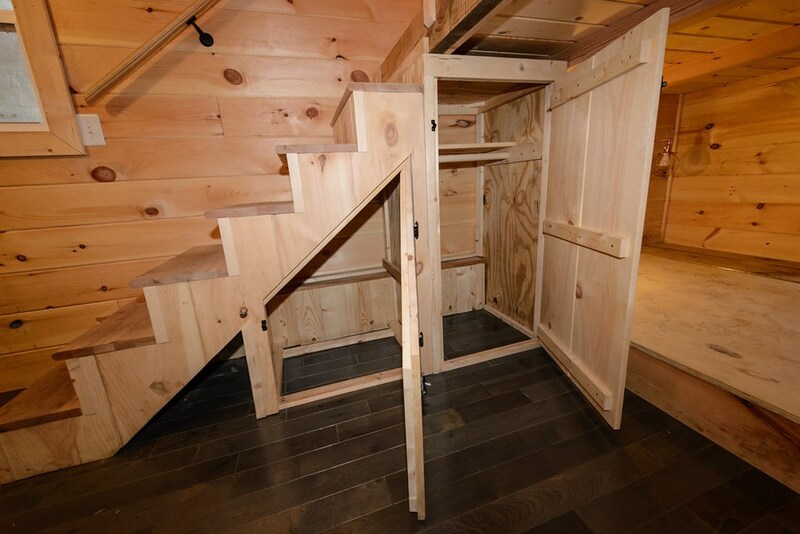 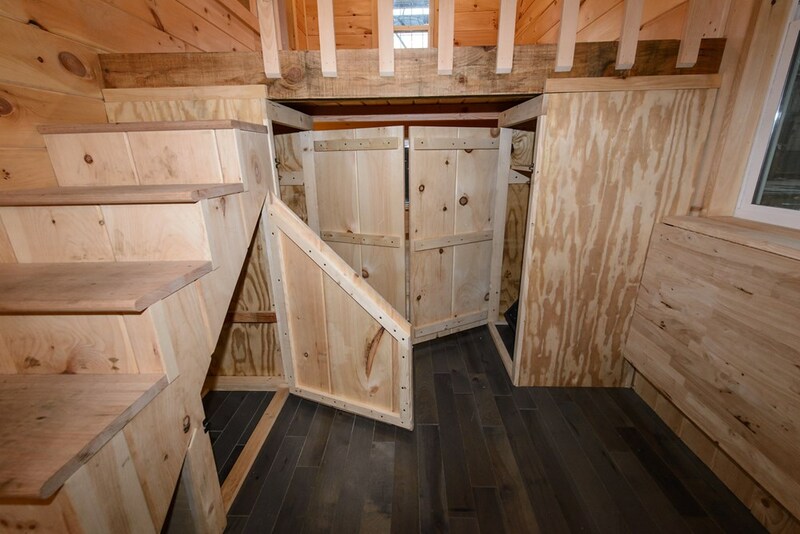 There are two loft bedrooms; one large enough to hold a queen-sized bed, and a second one with room for a twin. 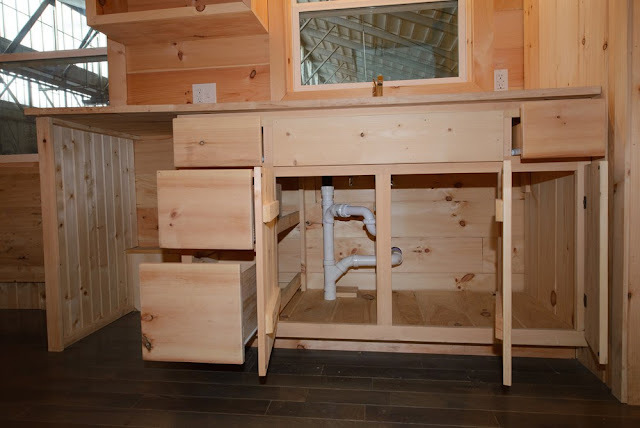 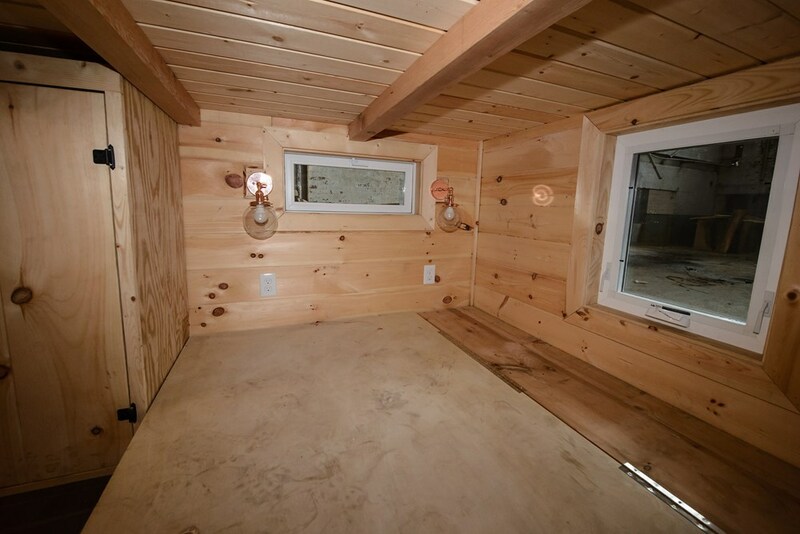 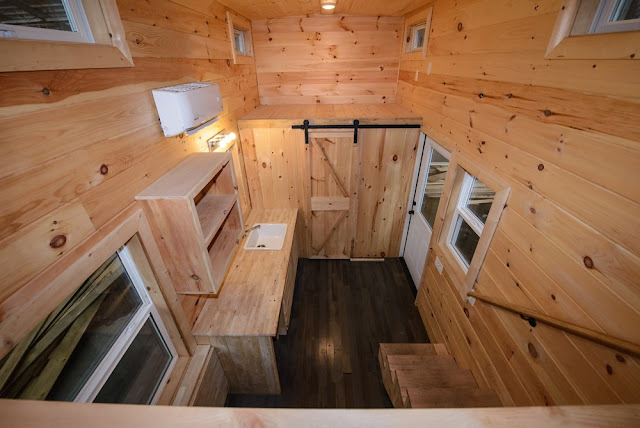 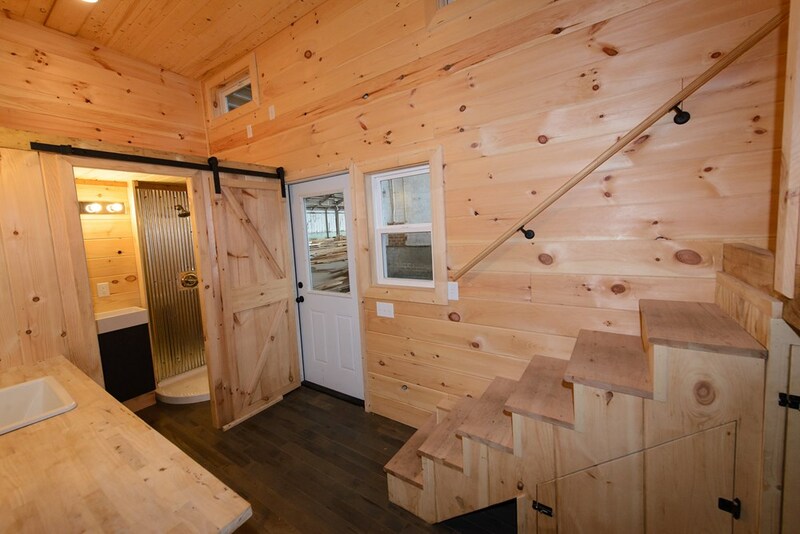 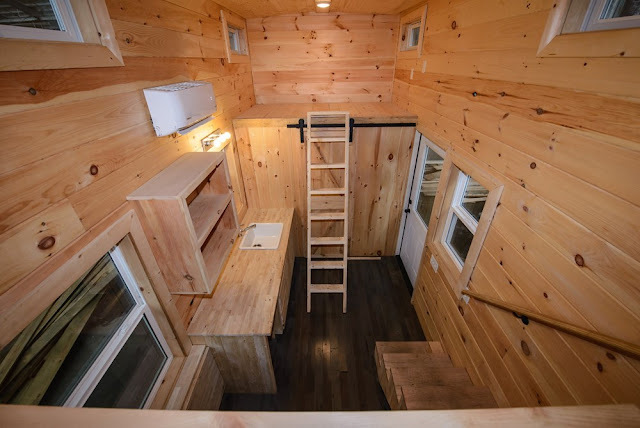 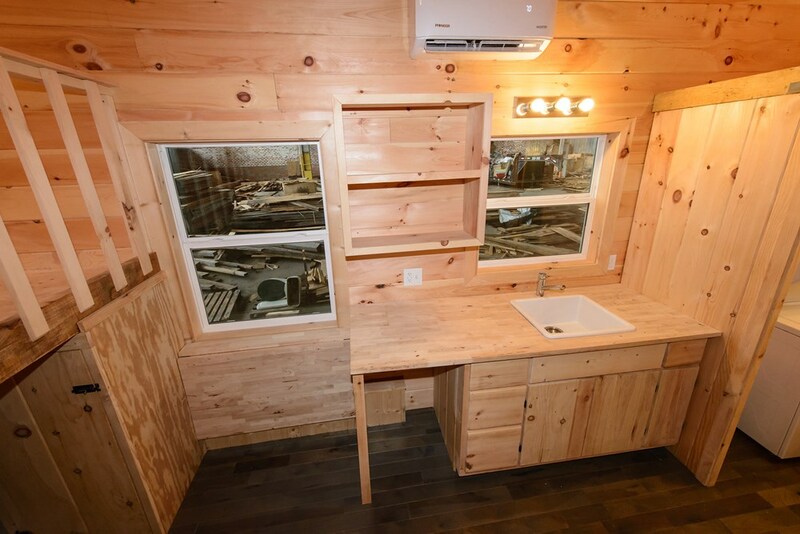 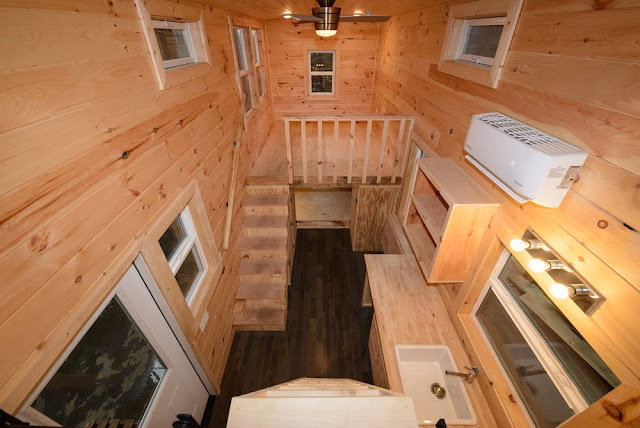 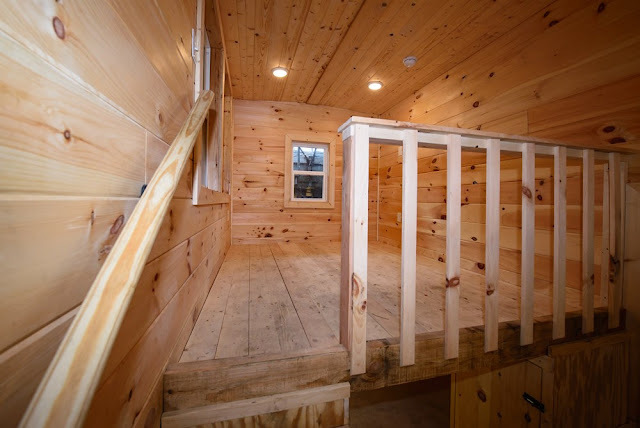 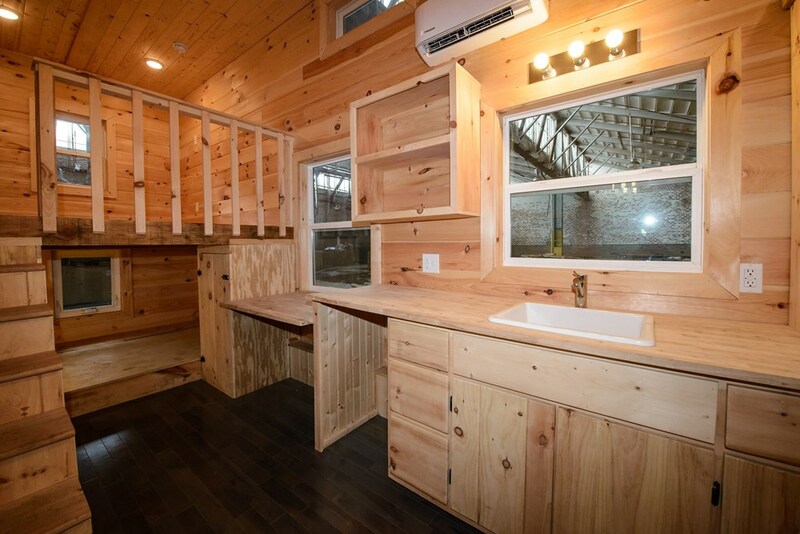 The bathroom doubles as a laundry room and has a stacked washer and dryer, composting toilet, a shower with corrugated metal, and a vanity with storage! 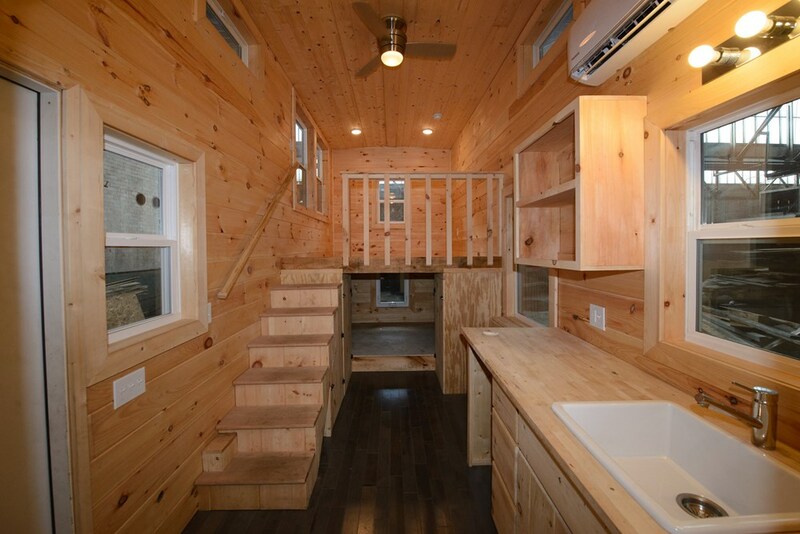 The home is currently listed for sale here for $50,000!